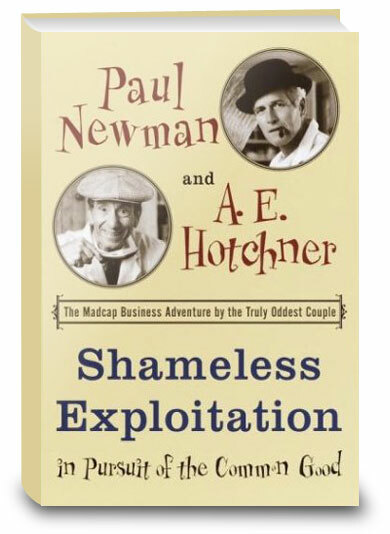 Movie actor Newman and his writer friend Hotchner broke all the business rules to become significant players in the food industry--and used their profits to open summer camps for critically ill children. They started selling Newman's "home brew" salad dressing in 1982 as a joke, but in the following 20 years they gained national recognition with an expanded product line, allowing them to give away $150 million. Their Hole in the Wall Gang camps (named after the outlaw band led by Butch Cassidy and the Sundance Kid, immortalized on film by Newman and Robert Redford), which serve children with life-threatening diseases, became very successful. Noted for strict attention to the quality of staff and operations, the camps have been replicated in several states and in other countries, too. Click the button below to add the Shameless Exploitation in Pursuit of the Common Good to your wish list.